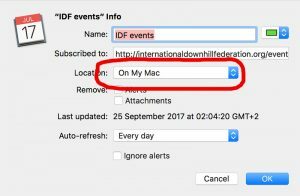 Can I subscribe to the IDF calendar? Yes you can, through ical, which is the basis of most calendars nowadays. Follow the steps below. Find the 'Other Calendars' on the bottom of your sidebar (left). Click the arrow next to the 'Other Calendars' and click 'Add by URL'. You can then change name and color (optional). 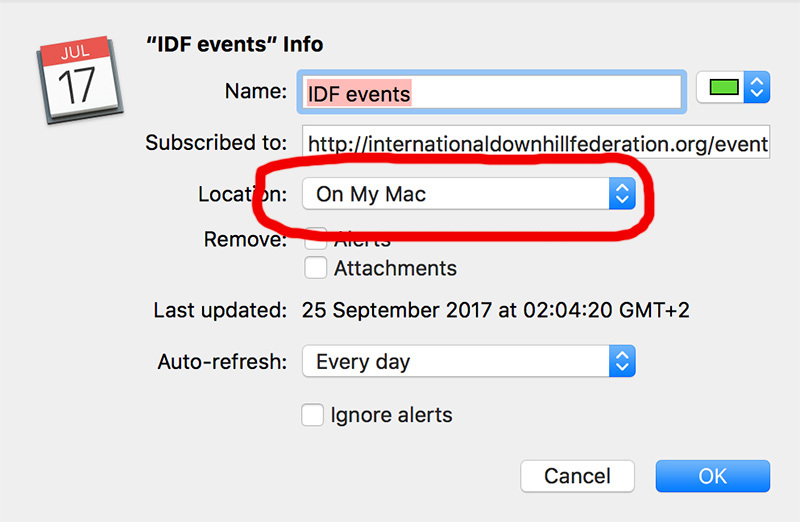 Be sure to change the location to 'On My Mac'.